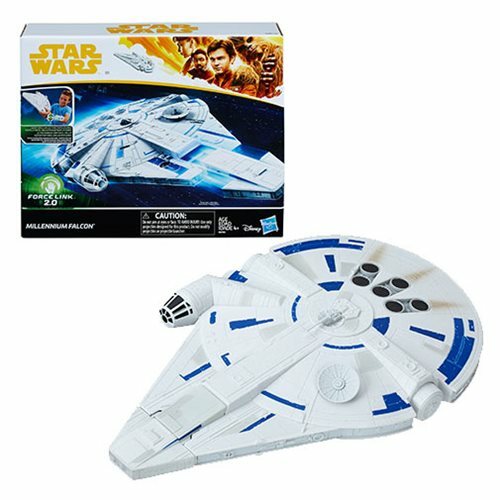 When kids wear their Force Link 2.0 wearable technology and pick up the 3 3/4-inch-scale Millennium Falcon vehicle, they can activate battle and flying sound effects! The Millennium Falcon vehicle features a launching port for the included Millennium Falcon Escape Craft, so when kids load the craft into the Falcon, they can imagine sending it launching through hyperspace! Vehicle also includes landing gear, so kids can display the vehicle in their collection or imagine it landing in a bustling Star Wars space port.